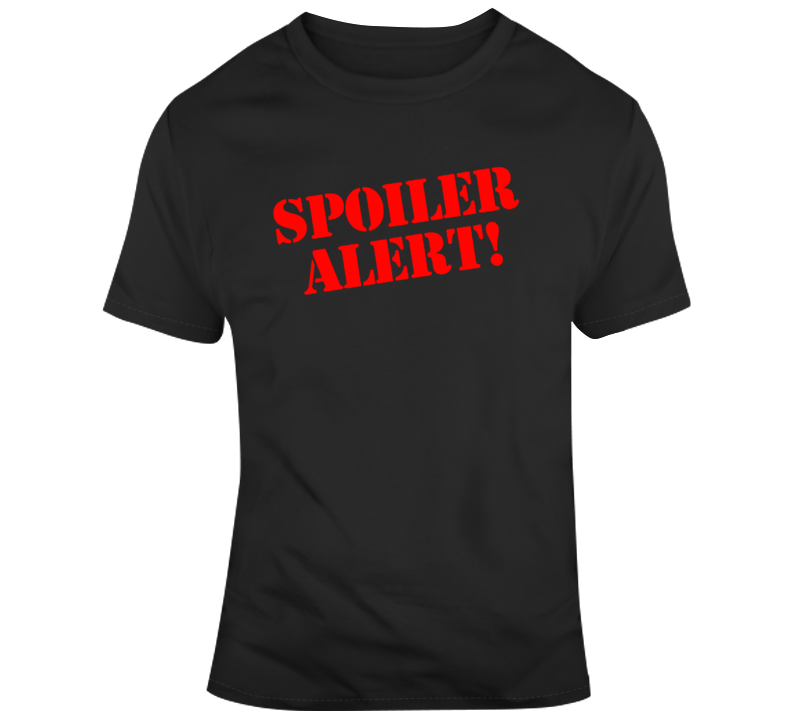 Spoiler Alert Funny Movie Fan v2 T Shirt is available on a Black 100% Cotton Tee. 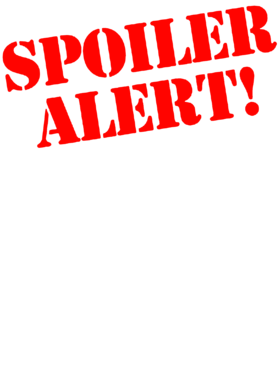 The Spoiler Alert Funny Movie Fan v2 T Shirt is available in all sizes which you can select from the shirt size drop down above. Buyers are responsible for returning any shirts that are defective in original packaging and in new condition within 15 days of purchase. You will be refunded 100% for the t shirt. We can only offer a 100% refund for defective/poor quality orders because we are a custom print shop and our shirts are made-to-order. Therefore if you have wrongly given us your size or if you order a size, receive that size but are not happy with the fit these are not grounds for a return. We can take back t shirts that do not fit or you simply want to return with a $7 restocking fee, or $15 fee for Hoodies. T Shirt Czar offers a 100% satisfaction guarantee return policy. Shirt Color Change: Any change in shirt color from it's advertised color will not be considered final sale, but will be subject to auto re-stock fee if it is being returned. Quick disclaimer for those of you planning to match this item with your favorite kicks, please keep in mind we create designs that match perfectly on our computer screens BUT graphics can print differently depending on the shirt color as well as the style/material. For this reason we DO NOT guarantee an exact color match. Please consider this before confirming your purchase as we will not grant refunds or exchanges for orders that simply aren't the exact colors you were hoping for. For a more detailed return policy or more information please contact us by email tshirtczar93@gmail.com and we will gladly provide you with your options as well as the address to which your items should be returned. Upon receipt, T Shirt Czar will refund your purchase.